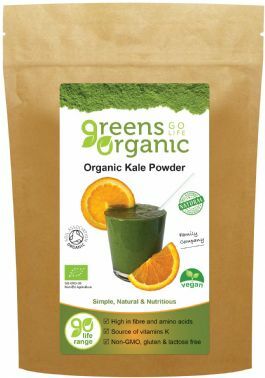 Ingredients: 100% Pure, Soil Association Certified Organic Kale Powder. Green's Organic superfoods are 100% organic, free of all pesticides, fertilisers, heavy metals, GMO's and other pollutants. Each product is independently tested for over 500 chemical residues.